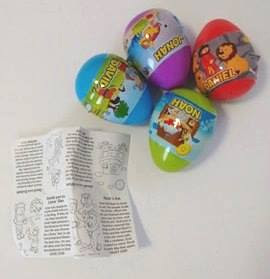 Plastic Easter egg decorated with a scene of well-known Bible characters. Inside there is a paper with Bible stories and pictures to colour. Assorted colours and designs.